Spanish cuisine is very famous and there are festivals and many events all over the year. Valencia is ideal for your summer holiday, to discover natural treasures, colors and tastes, or just for a weekend of fun, to meet new friends, in couple or with the family, each period is the right one. Today, Valencia is one of the most dynamic and interesting cities in Europe, where you can find a balanced mixture of tradition and desire of modernization. You may visit the towers of Serranos, which represent the gates of the ancient entrance to the city, and the so called Lonja de Mercaderes, one of the most beautiful buildings in Europe. You’ll surely appreciate the Valencian coasts, one of the longest beaches in Spain. Everywhere there are restaurants, bars, night clubs and flamenco tablaos. Valencia is really an open, innovative and hospitable city, especially after the Louis Vuitton Cup and the America’s Cup, which made it considered even more as a maritime and a modern city. Here you can find past and future, historical pride and hope at the same time. Valencia is famous all over the world for the Paella, the most famous dish of Spanish cuisine, so that it became the most important food to eat on Sundays. Valencia offers so much fun for everyone and a particular movida, less chaotic than in Madrid, and the same place can also change appearance many times a day. 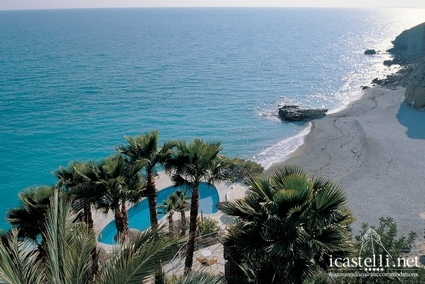 This entry was posted in Hotels, Design and SPA Hotels, Boutique and Charme Hotels, Spain, Sport and Activities and tagged gastronomia spagnola, hotel abroad, hotel all'estero, hotel spagna, hotel spain, hotel sul mare, hotel valencia, hotels on the sea, litorale valenciano, seaside hotels, spanish cuisine, spiagge valencia, valencia seaside hotels. Bookmark the permalink.